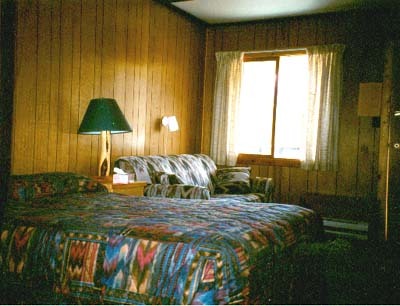 The Black Cat Lodge has 16 cozy rooms for your stay. Each room has two beds and full bath. All rooms open onto exterior walkways with a great view of the first range of the Rocky Mountains. All of our rooms are non-smoking. 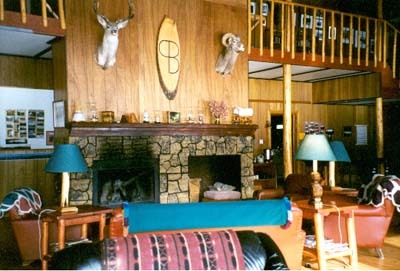 Our central lodge area features a large living room with comfortable chairs, a fireplace, piano, and lots of books. Adjacent to the living room is a games lounge with table games, jigsaw puzzles, and guest bar. All public areas in the lodge are smoke free. 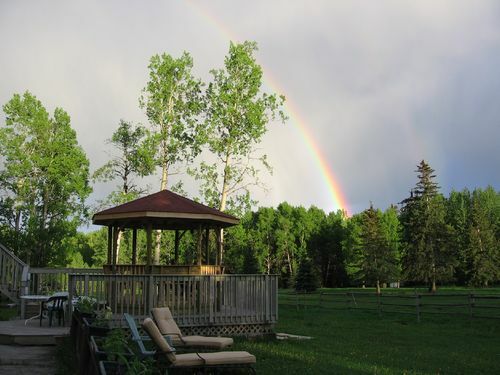 In front of the lodge is a patio and gazebo with a lovely mountain view. These are great places to relax and read a good book, or have a cool drink at the end of a long day.